Porous bone graft substitute provides ideal scaffold for optimum bone tissue ingrowth. Contains Carbon apatite and highly purified minerals identical to human bone in terms of physical and chemical properties providing ideal scaffold for Osteoconduction. 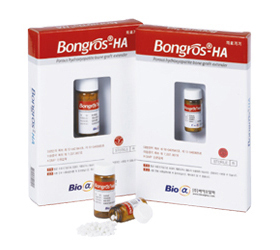 Bongros maintains cancellous structure and space until the product is absorbed to the surrounding tissue after new bone formation.